Old Camms Barn is a spacious property offering comfortable self catering accommodation on a beautiful hillside within the village of Askrigg. This lovely small village is close to Leyburn and it is within the beautiful Yorkshire Dales National Park. 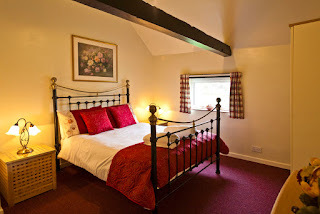 This holiday barn can accommodate up to 8 people in 4 double bedrooms which are all en suite. 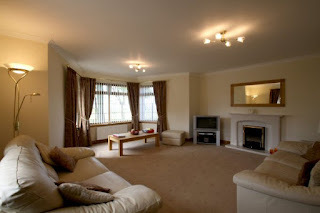 There is an open plan living/dining room with woodburner and a fully fitted kitchen. Facilities include satellite TV, WiFi and a private garden. The garden has a BBQ and outbuilding for storing bikes. Just a short walk away you will find a newsagents, butchers, bakers and pharmacy. There is plenty of landscape to explore on food or bike. The nearby town of Leyburn has shops, places to eat and attractions including Forbidden Corner, Bolton Castle, Foxglove Covert and Middleham Castle. The Old Telephone Exchange is nestled on the outskirts of Bishop Monkton, a quaint and quiet little village set in a beautiful part of North Yorkshire and just a short drive from Ripon. The Old Telephone Exchange, Bishop Monkton, Ripon, North Yorkshire. The holiday home has been lovingly refurbished to an extremely high standard in order to provide luxurious and romantic holiday accommodation. The pretty village of Bishop Monkton is easily accessible for both the Cathedral City of Ripon and the fashionable spa town of Harrogate, making our accommodation an excellent base from which to explore the local area. For those who enjoy walking, an abundance of footpath walks are close by and for those wishing to explore further afield, both the Yorkshire Dales and the North York Moors are well worthy of a day’s outing. The Old Barn offers quality holiday accommodation on a small family farm in Anstruther, Fife. The property commands a spectacular rural position with outstanding views across the Firth of Forth towards North Berwick and Edinburgh. The Old Barn is a fabulous place to relax and unwind. It is newly converted to the highest standard yet ideally situated for the many tourist attractions in the area. The Old Barn is part of an old steading which has been completely rebuilt with the original whinstone, traditional slate roof and finished internally in hardwood oak. There are 2 en suite bedrooms on the first floor, one of which is a twin room and the other being a double room with south views over the Firth of Forth and surrounding countryside. The East Neuk of Fife has over 40 golf courses within an hour's drive and is a paradise for any golfer. There is also a huge range of other outdoor activities including the Fife Coastal Path for walkers. There are golf driving ranges, sailing trips to the Isle of May, a visit to the Scottish Deer Centre and the chance to enjoy the unspoilt Blue Flag beaches for which the area is famous for. By this stage you may have an appetite! You can then choose from a wide variety of superb places to eat from acclaimed restaurants to cafes and bars all within a short drive and many set either in the local countryside or around the coastal villages. 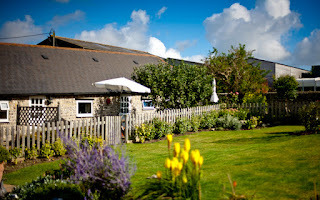 Barn Owls Holiday Cottages in Newhaven, East Sussex, offer superb self catering accommodation in a charming old barn which has been tastefully converted into 3 holiday homes. The holiday homes are surrounded by tranquil and peaceful countryside, making us a truly idyllic holiday destination. We are just a five minute drive from the beach and the ferry to France and also lie at the foot of the South Downs in a National Park, an Area of Outstanding Natural Beauty. This is an ideal spot to discover the South Coast and its surrounding countryside. Walkers will love this quiet location on the South Downs Way. Scarrow Barn is a converted nineteenth century barn offering comfortable and attractive accommodation in a peaceful rural location. Situated in lovely open countryside close to the village of Aldborough, Scarrow Barn is only 15 minutes from the beautiful North Norfolk coast. The house provides a holiday venue suitable for a couple, a single family or a larger group of up to two families. With extensive gardens, a tennis court and snooker room there is plenty of scope for fun and relaxation. Seagulls Ullapool in Ullapool, Ross-Shire, offers wonderful self catering accommodation in a beautiful part of the country. We are situated in a peaceful and relaxing location but only a stone’s throw away from the sea front and harbour, making us the perfect base from which to explore the local area. Our wonderful holiday home is ideal for families or a group looking for somewhere special to stay. The property sleeps up to 6 people in 3 bedrooms. The kitchen is fully equipped and comes with a range of excellent appliances including fridge freezer, dishwasher, hob, oven, microwave, toaster, steamer, hand blender and an extensive range of equipment. The Ullapool Leisure Centre has a 25m swimming pool, sauna, sports hall, tennis courts and gym. The leisure centre is a two minute walk from Seagulls. The Ullapool Golf Course is 3 minutes away by car. Ullapool has a lively music scene in its pubs, village hall and McPhail Centre. There are a variety of restaurants, cafes and pubs serving food for all tastes. There is an Indian and a Chinese takeaway and also an award winning fish and chip shop by the harbour. Ullapool is also well served by a variety of shops, craft shops, supermarket, a chemist and medical centre. The Whitehouse in Naast, Poolewe in Ross-shire, provides wonderful self catering accommodation in a breathtaking location. Situated in a tranquil, peaceful location overlooking Loch Ewe, we will prove to be an unforgettable holiday destination. Our superb holiday home has been recently refurnished and offers contemporary accommodation throughout. The property sleeps up to 8 people in a super king and twin bedroom on the first floor. There is also a family bathroom. On the ground floor are 3 bedrooms: 1 king with en suite shower room, a twin bedroom and a second super king or twin. A good sized toilet and shower room are also located on the ground floor along with a utility/laundry space and boot room. The Naast to Gairloch walk starts right across the road from the Whitehouse. At the beginning of this walk you get great views of Loch Ewe. The pretty 3 mile walk along the road from Naast to Poolewe has views across the water to Inverewe Garden and the Sutherland mountains beyond. Ben Arachar makes for a beautiful backdrop to the coastal village of Poolewe and offers good walking for those who want more than a stroll. There are low level walks starting from the Poolewe bridge carpark. Here the Kernsary circular walks starts by following the river Ewe. Other paths along this route take you to the shores of Loch Marree or Fione Loch. Craigo Barn in Tintern, Chepstow in Monmouthshire, offers superb self catering accommodation in a beautiful part of the country. Situated in the grounds of the Craigo Farm which has been recognised by Gwent Wildlife Trust, we truly are an idyllic holiday destination. Craigo Barn has been skilfully renovated to provide a tranquil, all year round retreat. The property sleeps up to 5 people in two good sized rooms, a double bedroom and a room with three single beds offering ideal family accommodation. There is also a separate bedroom.